A bit of parkrun tourism last Saturday. 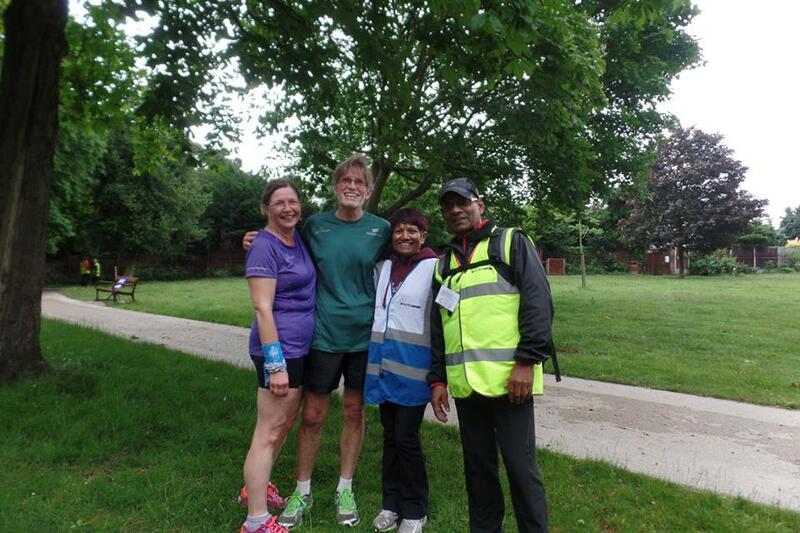 We went to Raphael parkrun in Romford, just beyond the outer reaches of East London. 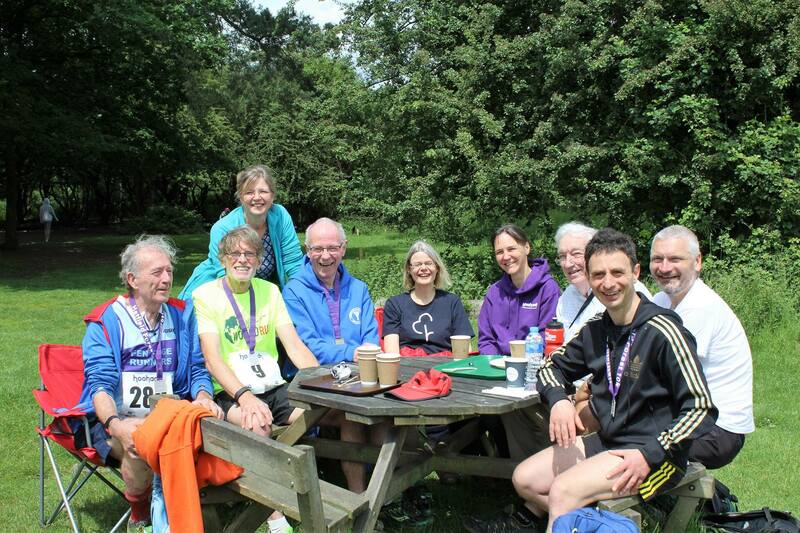 We met up with our friends who live relatively locally and are involved in the organisation of parkrun. And a lovely run it was, too, around a local authority maintained park within easy walking distance of Romford market, where we had breakfast in a Wetherspoon’s pub. We like Wetherspoons. They’ve got nearly a 1000 pubs in the UK and most are reconverted from old cinemas, banks and other old pubs. I think Romford is typical Brexit territory and sure enough, we saw a Leave the EU car and van cavalcade wending its way through the streets. They want their country back. They want to drastically curb immigration. They want to be in control of sovereinty and decide our own laws. They frighten me. Please let us Remain! Cambridge Bumps time a couple of weeks ago. 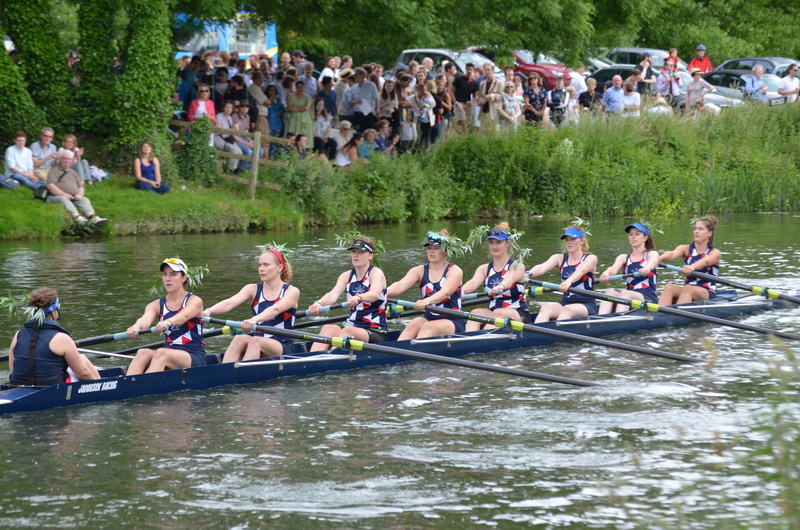 The Bumps comprise of college rowing teams competing on the river Cam. On the last day, a Saturday, they set off together, spaced at intervals of possibly 100 metres and attempt to catch the boat in front by “bumping” into them ie having physical contact. The race for both boats ends at this point. There are a number of races during the day and alternate female and male races. It’s great fun, quite exciting at times, a spectacle to behold, very British and not social class neutral. I ran a 10k Hoohaah at Hatfield Forest, Essex on Sunday. I didn’t go all out but I still put some effort into it. Very enjoyable and had coffee with good friends after the race.